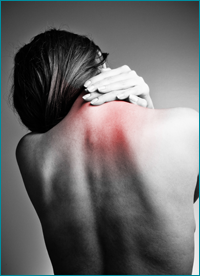 Get the relief you need from chronic pain at Cordova Pain Specialists. Located in Cordova, Tennessee, we offer pain management options such as epidural injections, nerve blocks, and spinal cord stimulation. Get back to pain-free days with an epidural injection. We provide epidural injections for patients who have developed pain out of nowhere or have had work, auto, or slip and fall related accidents. These patients often experience shooting pain or burning down their extremities, which can result in the loss of ability to perform certain tasks, and lower quality of life in general. The epidural injection is designed to treat the inflammation surrounding the nerve that is causing the pain. It can result in weeks of pain-free days from just one treatment. Stop chronic pain in its tracks with a nerve block procedure. This injection is designed to treat centralized pain, neck and shoulder pain, and back or spinal pain. The results vary case by case but the nerve block injections are generally a highly effective way to treat spinal pain. This is an outpatient procedure that is invasive but highly effective. We offer spinal cord stimulator treatments when all other options have failed. People who have had multiple surgeries and have nowhere else to turn can benefit from this aggressive, state-of-the-art treatment. Results may vary based on the type of injury that is being treated. At Cordova Pain Specialists, we strive to make effective pain management accessible to you. We accept all major credit cards, cash, and personal checks, as well as all major insurance providers. We also have flexible payment options for those that qualify. Contact us to take your life back and relieve your pain with one of our highly effective treatments.